Hokulia Shave Ice Food Truck at PREP Atlanta! Congratulations Linda Walker – Launching two of Atlanta’s newest food trucks Hokulia Shave Ice! Hokulia shave ice is an ice-based dessert made by shaving a block of ice, adding our own delicious flavors and a scoop of Utah’s own Farr’s ice cream. Top that with a “white cap” (condensed milk) and you’re in Hawaiian heaven! Even though it is made with shaved ice, it is called “shave ice”, not “shaved ice” by Hawaiians. Why shave instead of crushed ice? Shaving produces a very fine ice that appears snow-like. This extremely fine texture allows syrups that are added to it to be absorbed by the ice rather than simply surrounding it. The combination of our perfect shave ice (there’s magic in our ice!) and our proprietary flavors with a scoop of our award winning ice cream sets us apart. Hokulia has its own magical taste – in fact, it’s all about the amazing HOKULIA TASTE! You can find one of Hokulia Shave Ice trucks @ 299 Moreland Avenue in Little Five Points. 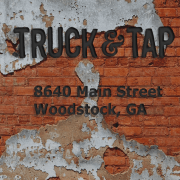 If you are looking for a wonderful addition to your next corporate of family event call Linda @ 404-697-6400. 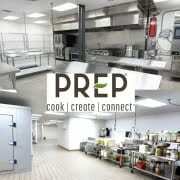 Starting your Food Truck Business in Atlanta just got simple with the addition of PREP to the Atlanta food scene.